Eczema skincare tips from a top dermatologist for it's-not-Spring-yet weather. Eczema skincare stories typically abound just as Fall is sliding into winter. But the condition doesn&apos;t go away with the first promise-of-Spring snowmelt – easily upset eczema-prone skin still requires careful attention during transitional weather, and even when cool-weather jackets go back into storage. The following advice from dermatologist Paul Cohen will see you and your sensitive skin through until the tulips bloom. 1. 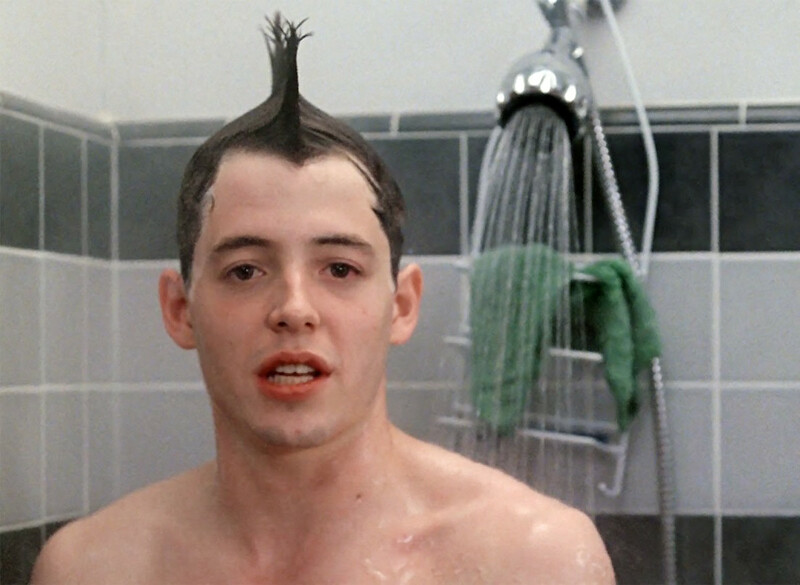 Stop with the long, hot showers! This tip is probably in almost every story about eczema-related skincare, yet according to dermatologist Dr. Paul Cohen, it&apos;s still the most common mistake eczema sufferers make, even as the weather warms (#chillymornings). 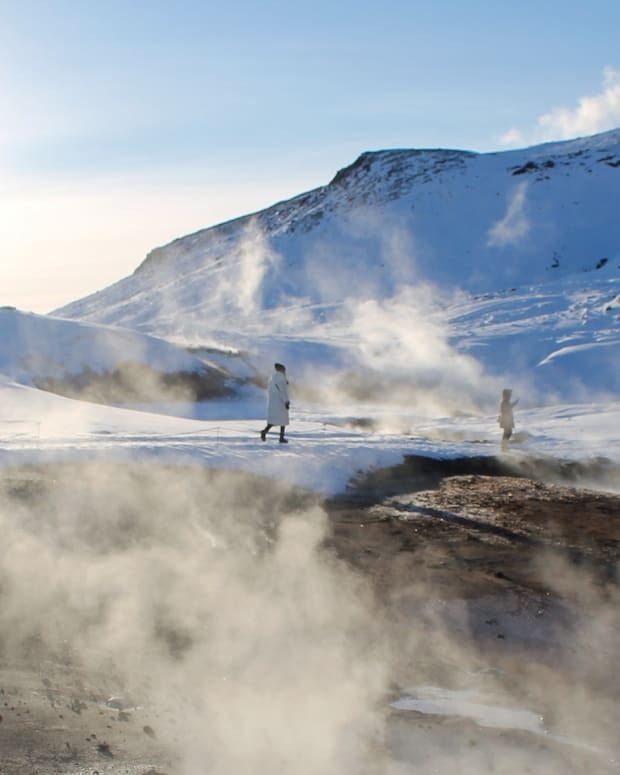 "Hot water strips moisture from the skin faster than warm or cool water," he says. "For eczema sufferers, it&apos;s twofold because hot water also tricks your brain: the heat distracts from the itching feeling, but doesn&apos;t actually help it. Hot showers make eczema worse because they dry skin out. Keep showers short, 10 minutes or less, and use warm water instead." 2. Load up on body lotion when skin is damp. "Bathing allows water to enter the skin; coating it with moisturizer after every shower helps seal that moisture in," says Dr. Cohen. And again, this tip surely has to be in almost every eczema-advice story ever written, yet it&apos;s a step often skipped for a variety of reasons, including time-constraints and just plain forgetfulness... which leads to the next point. 3. Keep body lotion in plain sight. 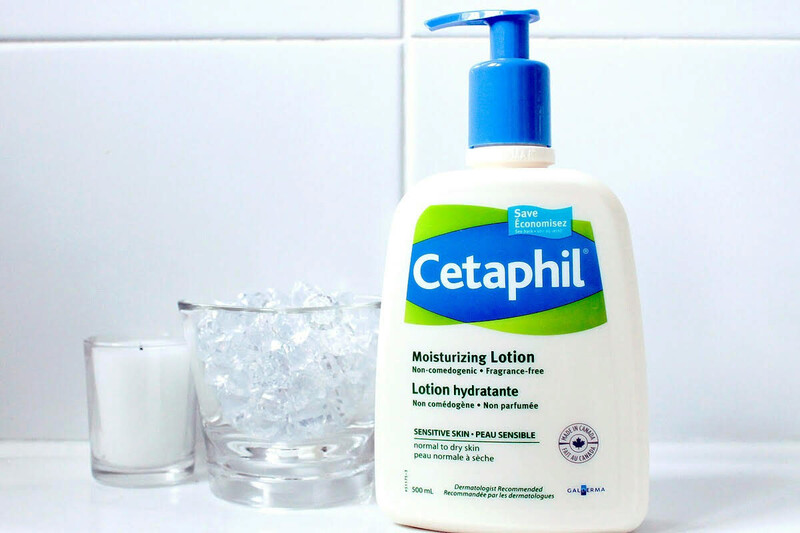 Visibility is important when it comes to improving the likelihood of lotion-ing up, but so is the dispensing system – it&apos;s so much easier and faster to hit a pump a couple of times after the shower than to fuss with a tube. Positioning one close to your towel so you see it when you step out of the shower is a good idea. Dermatologist Julia Carroll is an advocate of big tubs of body cream. "A tub is a great signal that this is something you&apos;re going to slather all over," she says. Stashing one on the back of the toilet, as well as by the bed and next to the couch means you can slap some on when itchiness tempts you to scratch. 4. Keep spray tins of thermal water handy. Yes, we know about applying lotion to just-out-of-the-shower skin, but sometimes skin gets dry and itchy hours later for whatever reason. (For me it&apos;s my arms and legs.) A misting of thermal water will give skin a fresh boost of moisture you can then lock in with a fresh layer of lotion, so keep a tin of water in a convenient spot with your moisturizers. 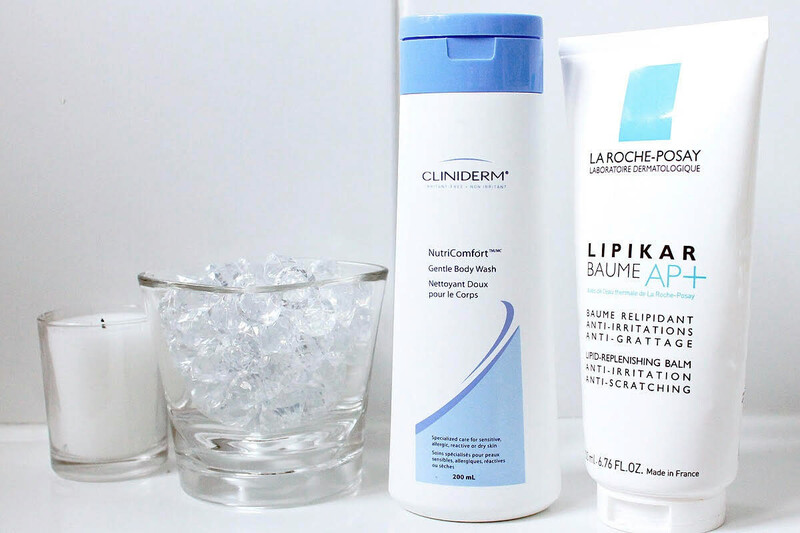 Eczema skincare: Cliniderm NutriComfort Gentle Body Wash has only a few ingredients; La Roche-Posay Lipikar Baume AP+ is rich, but has a light, lotion texture. 5. Don&apos;t pack away your richer lotions just yet. Dr. Cohen advises eczema sufferers to switch facial and body cleansers to creamy textures when the temperature drops, and apply more emollient lotions and creams at least twice a day. Turns out it&apos;s best to stay the course in these early days of is-it-or-isn&apos;t-it Spring so your skin is prepared for sudden temperature regressions. "Any moisturizer should be loaded with ingredients that help keep moisture in your skin like glycerin, ceramides and hyaluronic acid. Aveeno Eczema Care uses both ceramides and oats that help lock in moisture and helps prevent dry skin," he says. Athletic endeavours, particularly outdoors, can present a bit of a challenge for eczema-prone skin, especially before the weather warms up properly. "Participation in physically active winter pastimes often comes with exposure to the elements, so it does require you to be more conscientious with your skincare routine," says Dr. Cohen. "Exposing skin to the elements dries skin out, which can diminish the skin barrier, which in turn causes irritation, so steps are needed to help protect it. Always wear sunscreen and moisturizer to help protect your skin. Additionally, when your skin is sweating in cold or cool-weather gear, it can be uncomfortable for skin because it is unable to breathe, which can cause itching and irritation." To make eczema-stricken skin more comfortable during sports or vigorous exercise, Dr. Cohen recommends staying away from synthetic fabrics that prevent skin from breathing easily – they could aggravate the condition. And if the temperature plummets again, "avoid wool," he says. "I&apos;d recommend more natural fibres, such as cotton." Unsurprisingly (right? ), frothy bubble baths are a big no for anyone with eczema. 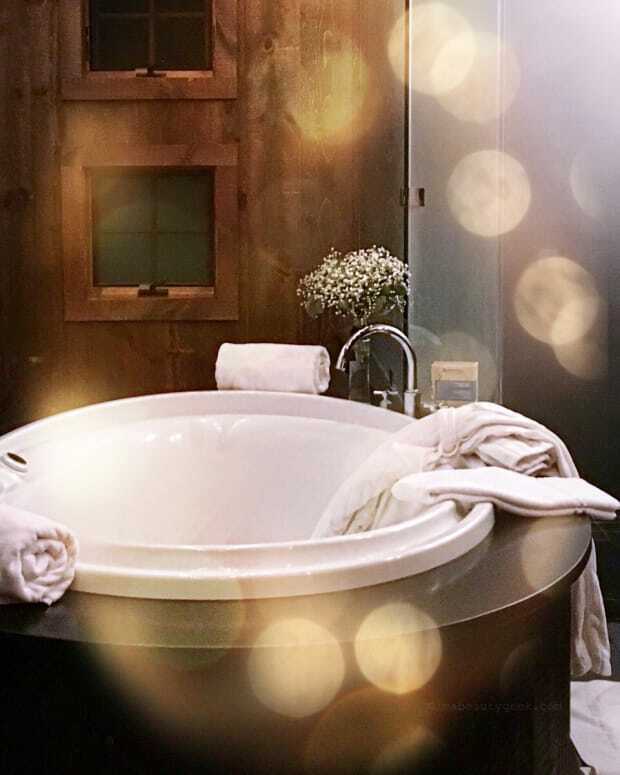 "Sitting in hot water with fragrance-filled bubble bath can wreak havoc for skin," warns Dr. Cohen. But although he generally advises against long hot soaks, the doctor says there is such a thing as an eczema-friendly bath. "Use warm (not hot) water, and use a bath oil to create an emulsion that will help moisturize your skin," he says. "Try Aveeno Shower & Bath Oil or Aveeno Daily Moisturizing Bath sachets with oatmeal to help soothe skin." "Exposure to the elements dries out skin, so mittens or gloves in chilly weather are a good choice for hands that are prone to eczema," advises Dr. Cohen. "Remember to apply a thick hand cream as well. I particularly like the Aveeno Eczema Care Hand Cream, which contains colloidal oatmeal, humectants and ceramides, and helps strengthen the skin’s moisture barrier to aid in the prevention and recurrence of irritated, extra dry skin." Sunscreen is a must when gloves are no longer necessary. 9. Skincare layering – yes or no? Extremely dry skin responds well to an application of body oil (on damp skin) topped with a lotion, or a light lotion followed with something richer. When you&apos;re dealing with eczema, "you don’t have to layer your body care, but it can certainly help," says Dr. Cohen. "More important is creating a gentle, daily cleansing and moisturizing regimen – that&apos;s one of the most important and beneficial routines you can do for your skin." Sidestep harsh soaps, says Dr. Cohen, because "they can irritate eczema and increase itchiness." Products with perfume and fragrance are also red-flag items. As well, "because of their diminished natural skin barrier, patients with eczema-prone skin can have issues tolerating products with glycolic and salicylic acids." 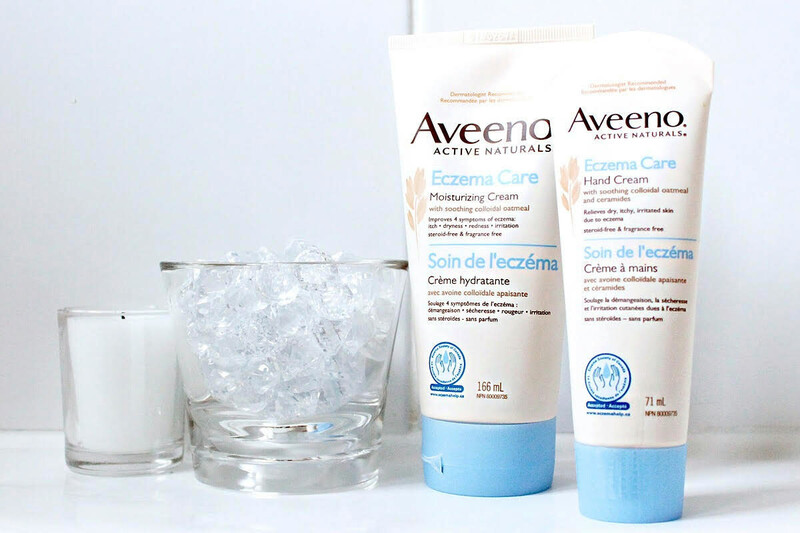 Eczema skincare: Aveeno Eczema Care soothes, moisturizes and protects with colloidal oatmeal, ceramides and conditioning agents that attract water to the skin. Instead, Dr. Cohen recommends body care "from companies like Aveeno that offer lines specifically for eczema, because they&apos;re gentle on the skin and help to soothe eczema symptoms." And the shorter the ingredient list, the better. 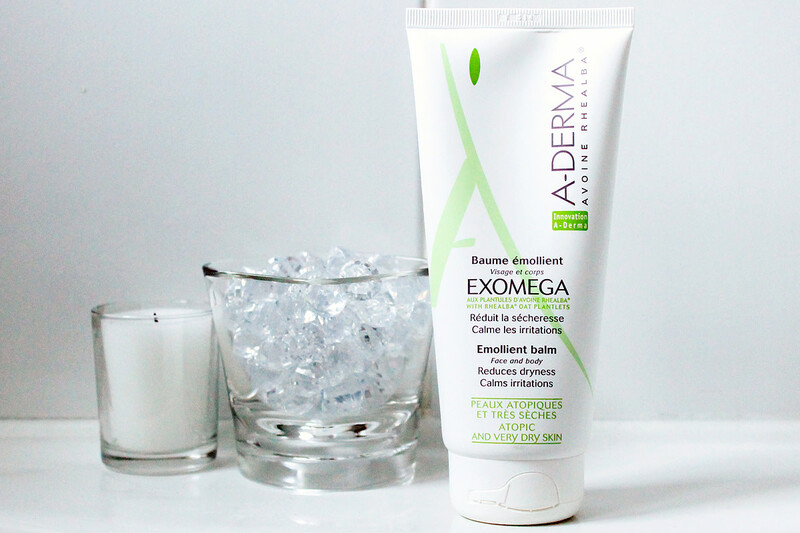 Do you struggle with eczema? What&apos;s your best comfortable-skin tip? When is your skin okay with lightening up your cold-weather routine for Spring? For more on the skincare featured here, visit a-derma.ca, aveeno.ca, aveeno.com, cetaphil.ca, cetaphil.com (check out the new Cetaphil Men line), cliniderm.ca, and larocheposay.ca.